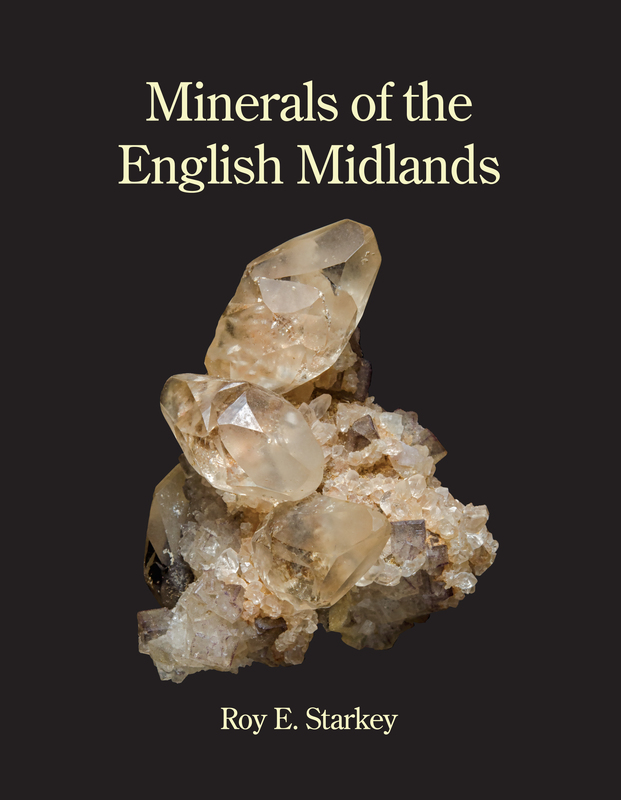 Thank you for your interest in Minerals of the English Midlands. You can order a copy online from this page, and pay securely using a debit or credit card via PayPal. You can also obtain the book from a small number of overseas and local stockists (see the list lower down this page) – if you live near one of these stockists, please give them your support – thank you. Click on the small black triangle in the drop down menu box to reveal the three pricing options and select the correct price for your country. Then click on the Buy Now button and follow the instructions. In case of any problems, or if you need more than one copy, please send me a message via the contact page. If you want to order multiple copies I will do my best to minimise shipping costs and invoice you directly. PLEASE NOTE THAT ONLINE PARCEL COURIER SERVICES NOW REQUIRE A CONTACT TELEPHONE NUMBER FOR DELIVERY. PLEASE INCLUDE (PREFERABLY A MOBILE) PHONE NUMBER AT THE END OF THE ADDRESS FIELD WHEN YOU ENTER YOUR DETAILS IN THE PAYPAL SCREEN. I WILL NOT BE ABLE TO SHIP YOUR BOOK WITHOUT THIS INFORMATION. THIS APPLIES TO BOTH UK AND INTERNATIONAL SHIPMENTS. THANKS. Price is per copy including postage and packaging. Please note that you do not need to have a PayPal account in order to pay using the PayPal system. You can use any major debit or credit card such as Visa, Mastercard etc. Simply follow the instructions for PayPal Guest Checkout and once you have entered all the details click the blue Pay Now button at the bottom of the payment screen. Your transaction will be securely processed by PayPal. IMPORTANT – PLEASE USE THE DROP DOWN MENUS BELOW TO SELECT THE AREA IN THE WORLD TO WHICH YOU WANT IT DESPATCHED AND THE CORRECT POSTAGE. CHECK THAT YOU HAVE SELECTED THE CORRECT DESTINATION – UK, EUROPE or REST OF WORLD BEFORE YOU CLICK BUY NOW. I will send you an email to confirm receipt of your order and payment, and will also let you know when I have despatched the book. The book is also available via a small number of local stockists, both in the UK and overseas (please telephone ahead to check stock before travelling). The BGS Geology Shop is now stocking the book – both at the Keyworth Headquarters and also at the London Office situated in the Natural History Museum. If your museum shop is interested in stocking the book, please get in touch.